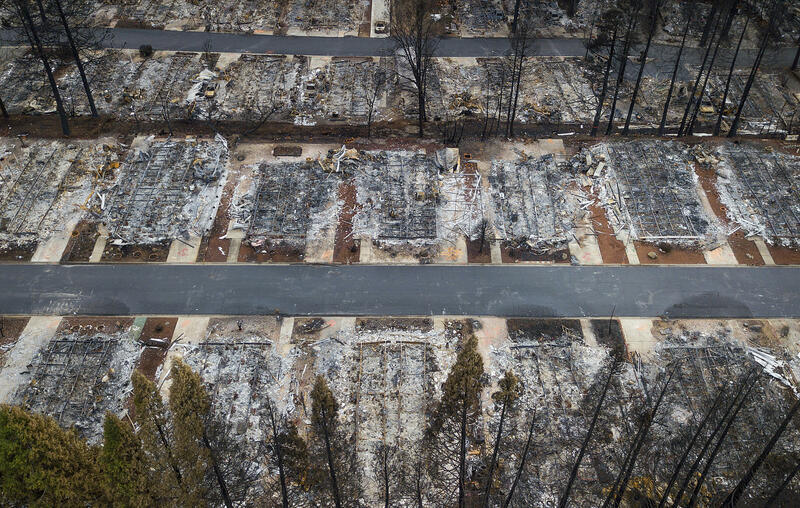 Homes leveled by the Camp Fire line the Ridgewood Mobile Home Park retirement community in Paradise, Calif., on Monday, Dec. 3, 2018. This week started with a major setback for Camp Fire survivors, especially those planning on moving back to their burned-out properties, putting up tents or parking campers. But as of this week, they were told it’s not safe due to all the toxic debris. Now they have to leave again. NPR’s Kirk Siegler reports on residents’ reactions to the announcement and about a heated Town of Paradise council meeting that took place on Monday.